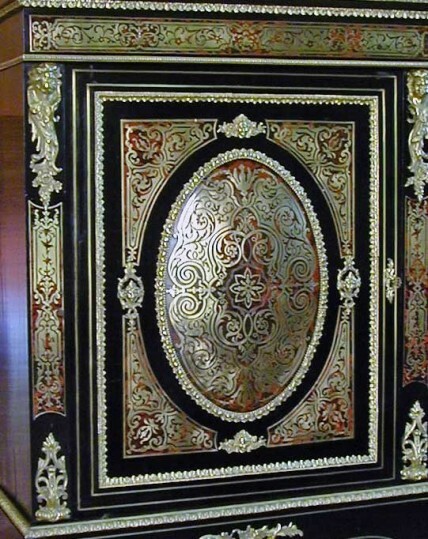 Brass and tortoiseshell inlay are classical materials combined to produce this 18th century French cabinet. 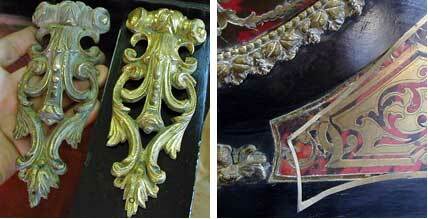 Weather, time and wear and tear caused inlaid parts to lift or fall out. Tortoiseshell was imported from Florence to repair this precious piece.